From setting up your crash cart to reviewing the steps of basic life support, this lunch and learn gives your team the information they need to perform CPR as well as an opportunity to practice running codes with our CPR practice dog, Floyd! Review the guidelines and landmarks for correct positioning for common studies such as thoracic, abdominal, pelvic and extremity radiographs. This lunch and learn includes the option for hands-on positioning guideance with a compliant cat or dog of your choosing! Want to brush up on your tension sutures? This session reviews the basics of common suture patterns used for routine procedures and various types of wound closure. Due to time constraints, this session is better booked in the evening hours. 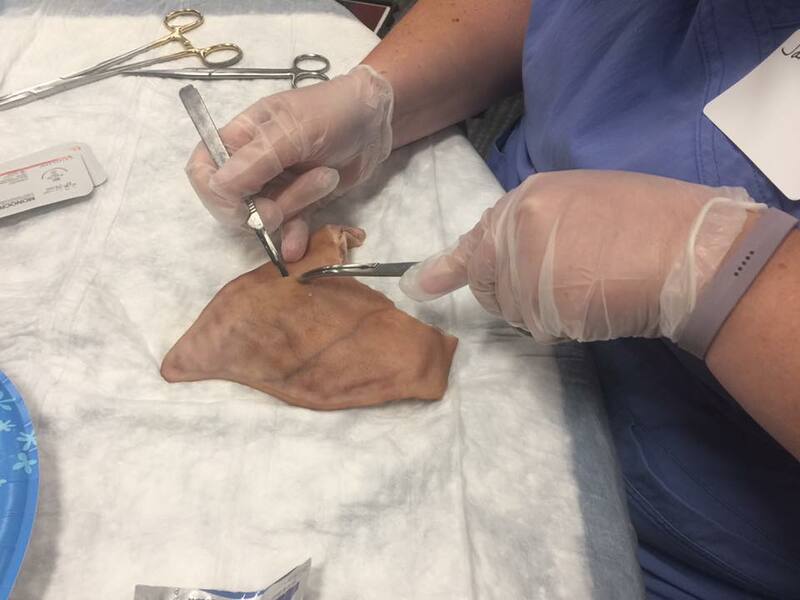 Instead of lunch, our team will provide dinner and pig ears for suturing! Additional topics are available. Please contact Heather Vaughan at Events@trianglevrh.com for more information.